NOMINATIONS NOW OPEN, DEADLINE MAY 31ST! NOMINATE NOW. Did you know that these awards is the only family friendly scheme out there which gives recognition of the best things to do for kids in Sheffield? 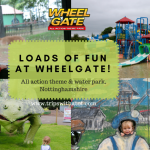 It’s a fantastic way to stand proud about this family friendly city and your favourite things to do, as well as find so many ideas for places to go and things to try. I’ve been blown away by the amount of interest, support and encouragement from all of you for these awards and want to say a big thank you to everyone who has contributed, helped and sponsored. You wouldn’t believe how proud I am to not only have an amazing line up of sponsors but to run these awards. 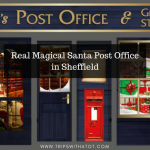 I was born and raised in Sheffield and now I’m raising my son here, too. 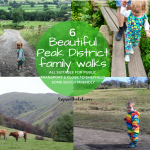 My blog was created in April 2017 to share our days out, trips and adventures to encourage others to do the same… we’re are a bit obsessed when it comes to local days out and I wanted to show how much there is to do here (and for free, too!). 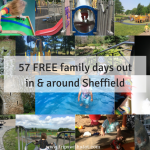 I love Sheffield, I think it is a fantastic city for families and I know so many of you think the same. 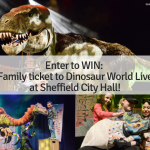 Sheffield For Kids awards give a chance for us to give a big virtual thumbs-up to all of the best things to do here for children of all ages and to shout proudly and loudly about how fantastic this amazing city is for families. 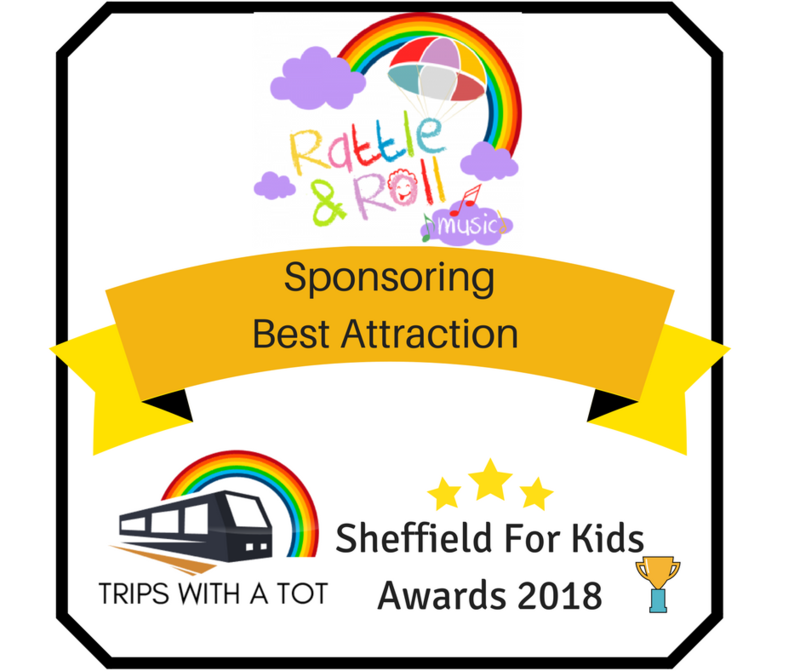 Not only are these awards supporting and promoting local brands and businesses in Sheffield, but they inspire families of all ages, sizes and types to discover new things to do. Please find out when nominations, voting and winners announcement dates are in our Important Dates post here. Q. How do I nominate? A. Once nominations are open on Thursday 3rd May (nominate now!) you will be able to send in your nominations either through a submission form on my website or on our Facebook page simply on a post in the comments. These will be launched closer to the time so make sure you’re following us and are subscribed so you don’t miss it. Q. Who do I nominate? A. Whoever you want! Think about what your favourite is for each category and that should be who/what you nominate. A. Only a few! You cannot nominate yourself and you shouldn’t ask others to nominate for you (though you can encourage people to vote for you!!). Nominations will not be taken after May 31st. Q. Is it only for Sheffield, then? You can still nominate for something if it is not in Sheffield with the border being within South Yorkshire. The only exception to this rule is the Best Local Park category which is for Sheffield only. You are more than welcome to vote and nominate wherever you live as long as you follow these rules. Q. How are nominations shortlisted? A. Myself and my wonderful team of busy bee’s behind the awards will take every nomination and add them onto a big list. These nominations are counted, and those who have the most nominations (for example, a place that has been nominated more than 3x) is shortlisted. Every single nomination is taken into consideration. Only the best will be shortlisted. Winners from 2017 awards are automatically finalists in this years awards. Q. I want to nominate something but not sure which category? A. That’s fine; try and enter your nomination in the closest category you think it would fit best. When nominations are short listed, the judges (me and my volunteers) will move any around if we see they would belong better in another category. Q. How & when do I vote? A. Once me & the team have shortlisted the finalists, this is announced and voting opens on Monday 4th June. Voting will be easy and quick using a poll system on my website; exactly the same as last year. Voting is anonymous and you can vote for as little or as much as you like. Q. What if I’m a finalist? A. Well, Congratulations! That’s brilliant, I hope you’re proud! 🙂 Go and tell your friends and shout about it on social media. I will have free banners, badges and logos for you to share made for you. You can get others to vote for you and you should encourage this as much as possible if you want to win. Last year, voting was so tight and even ONE vote can make all the difference. Here are this years categories. These have been carefully chosen by the awards team of volunteers, and I’m confident we have stream lined it to save only the best and most relevant. Once nominations are open (find dates here) you will be able to nominate as many as you like for these categories. Special Mentions: Nominate the stars in your eyes who have really made a difference to you & your family in the last year. From nursery key-workers, charities, sling libraries, health care professionals, volunteers for family services, support groups and many more. Best Creative: Does your tot love painting? Crafting? Perhaps one of your favourite days out is a Paint Pottery studio? Do you have a friend who runs a shop creating lovely kids clothing? This is the category for you to nominate all of these! 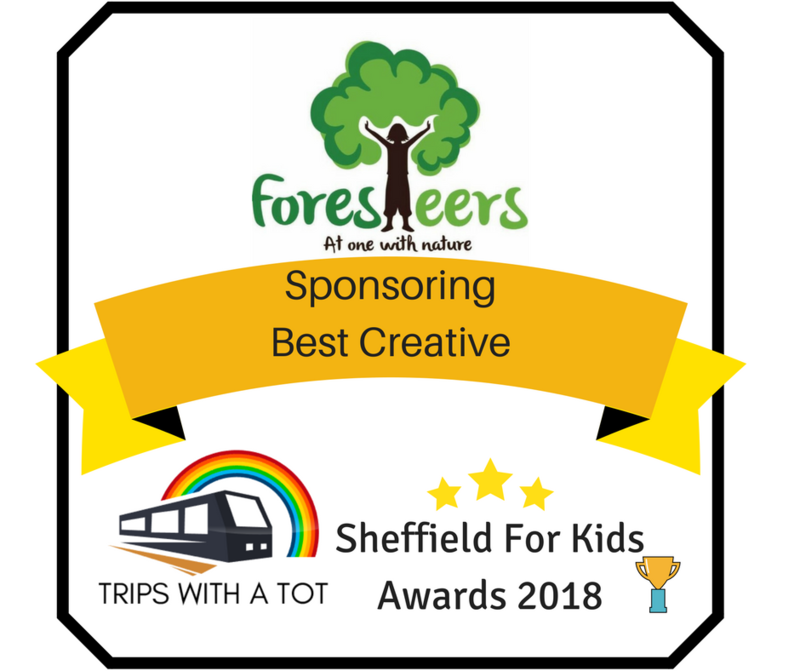 Think studios, craft groups and Independent creative Sheffield-based businesses who create and sell family/children related items. Best Baby Group or Class: Nominate your favourite baby group or class in this category. This includes paid-for activities and classes, playgroups and support groups for under 12 month olds. 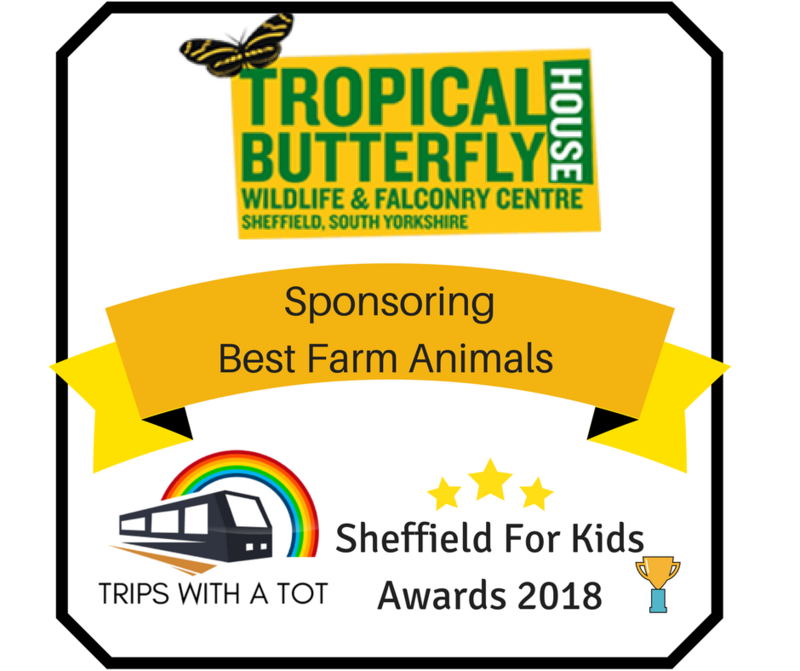 Please nominate toddler and preschool groups/classes in another category. Best Toddler Class: Nominate your tots favourite classes so long they are toddler or pre-school aged over 12 months. Best Indoor Play: Love soft play? Does your tot go crazy for big slides, ball pits or do they really love a particular play cafe? 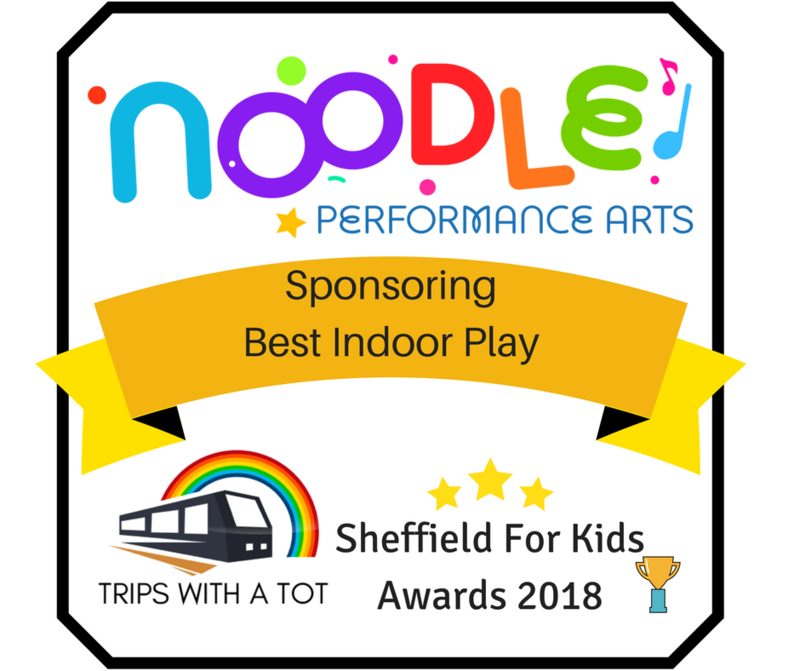 In this section, nominate the best indoor play venues! 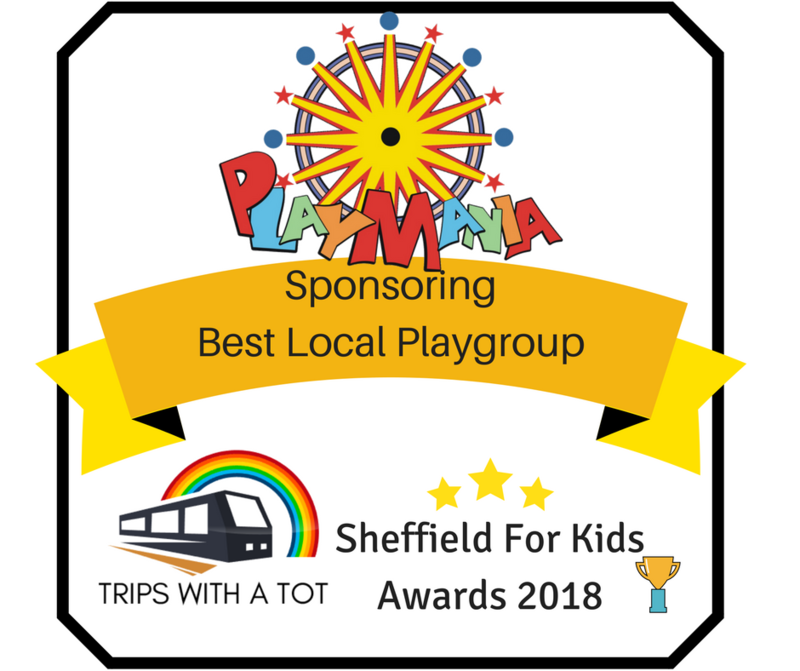 Best Local Playgroup: Charity, non-for-profit/volunteer run, playgroups which are “drop in” (structured/paid for block book should be nominate for best class), support groups and networks can be nominated in this category for Best Local Playgroup. All ages of local playgroups can be nominated in this category. 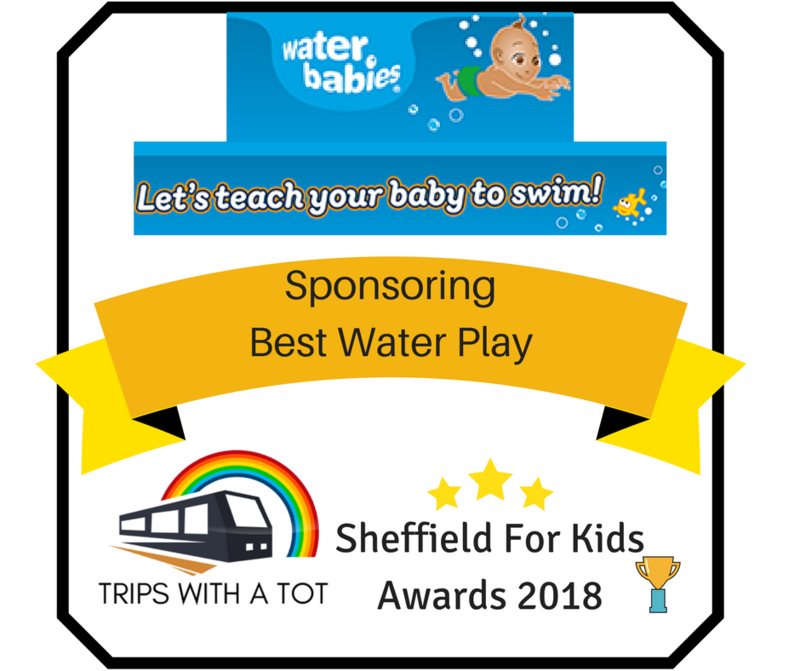 Best Water Play: Nominate your tots favourite places for water splash, fountains and in/outdoor water play! Paid for or free, you could choose the best paddling pools, parks with splash, fountains in public areas or splash parks. Please refrain from nominating swimming lessons or classes for this category. Baby/Toddler swim category runs every 2 years. 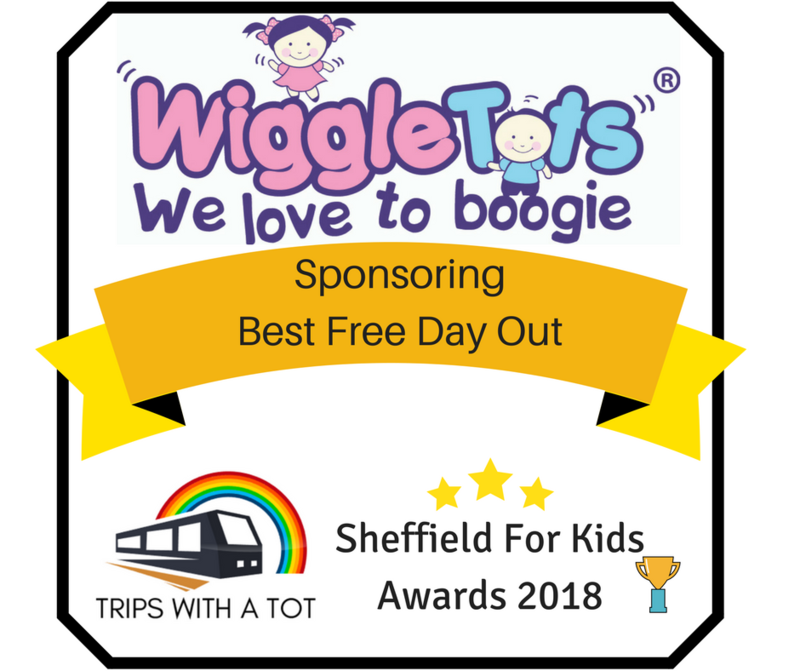 Best Free Day Out: Only one rule for this category… it must be free! 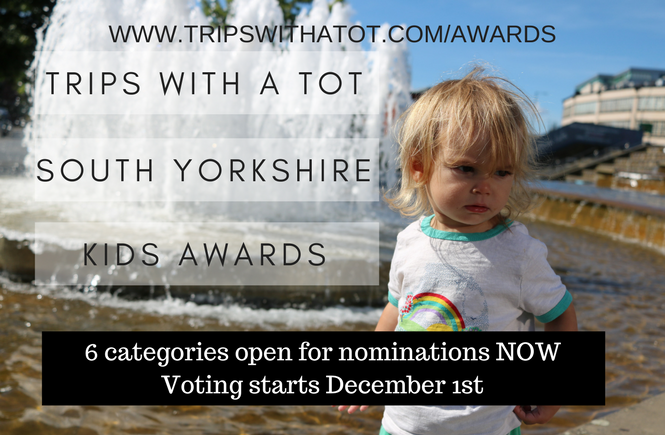 Nominate you & your families FAVOURITE FREE things to do and days out in this category. Best Local Park: Sheffield is a very green city with wonderful parks so get nominating your favourites in this category! This could be a local woodland, parkland, parks with playgrounds or green space but must be within the Sheffield border only. Best Children’s Library: Is your tot a book worm? Nominate your local or favourite children’s library in this category. Best For Active Kids: From sports classes, climbing walls, baby yoga, diving, swimming, orienteering, active activities, festivals and more this is the category for everything relating to sports and activity. Think outside the box… not all active themed activity take place in sports centres! 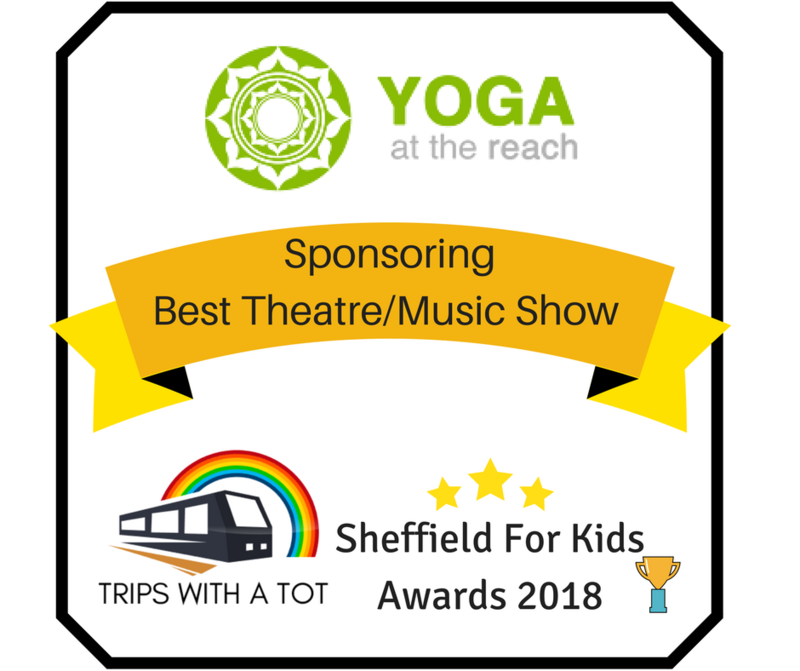 Best Theatre/Music Show: In this category, nominate your favourite theatre/music shows, activities or classes which must have been within the last 12 months and family-friendly. This could be at an arena, theatre, class, group, festival, carnival, show, community centre or even ampitheatre! 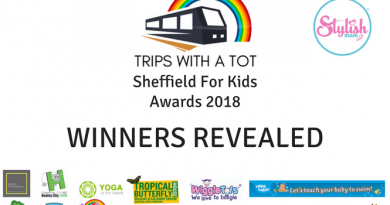 Best Attraction: What is THE best attraction for Sheffield kids? Nominate it! 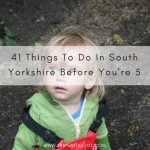 And don’t forget, you can nominate anything within South Yorkshire border for this one. 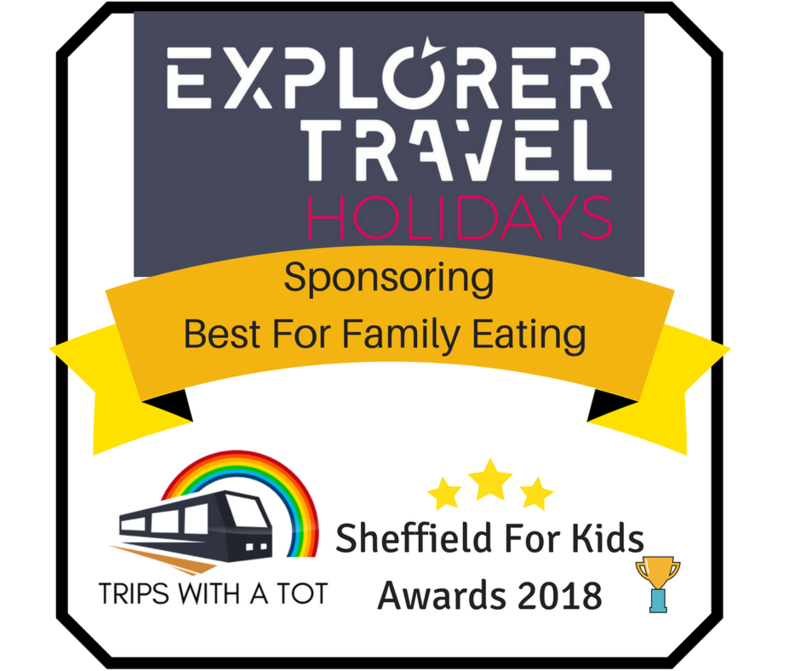 Best For Family Eating: Nominate yummy and scrumptious family friendly places to eat in this category. Cafes, coffee shops, play cafes, restaurants, pop-up eateries, street food, festivals and everything in-between are accepted as long as it’s family-friendly! The awards begin May 3rd! You can see the important dates for your diary here, and sponsorship opportunities here. 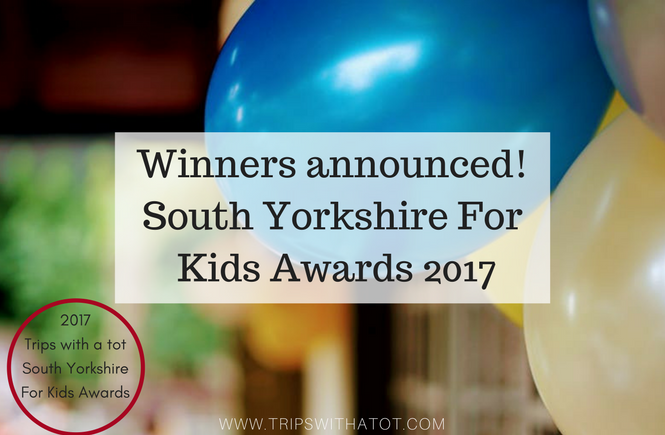 Trips With A Tot South Yorkshire For Kids Awards! 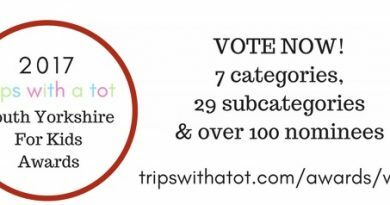 – Vote for your favourite days out & things to do with 6 categories! NOMINATE NOW! Sheffield For Kids Awards 2018 Sponsorship Line up + HUGE competition! 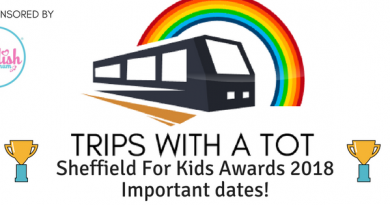 Sheffield For Kids Awards 2018 Sponsors Important Dates – Sheffield For Kids Awards 2018 Sheffield For Kids Awards 2018 – Voting CLOSED!